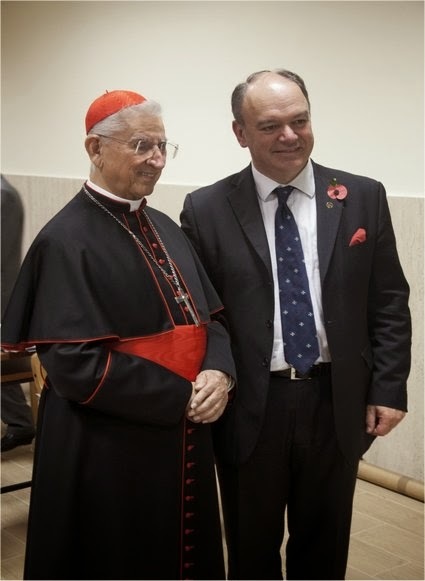 Congratulations to my good friend James Bogle who has been elected president of the Foederatio Internationalis Una Voce which exists "to to ensure that the Missale Romanum of Pope John XXIII (1962 edition) is maintained in the Church as one of the forms of liturgical celebration, and to safeguard and promote the use of Latin, Gregorian chant and sacred polyphony." Among other worthy predecessors, Jamie (barrister - trial attorney) follows in the footsteps of Dr Eric de Saventhem and Michael Davies. He said that he intends to carry out his new role by employing benefits bestowed by Pope Benedict XVI, not least in the motu proprio of 2007, Summorum Pontificum, that restored the traditional Latin Mass as one of the two approved forms of the Roman rite of Mass. He also would like to see its fruits integrated into the New Evangelisation. May God bless the work of Una Voce and assist Jamie in his new post.